December 18th in Hack Prevention by Wordpress Jedi . 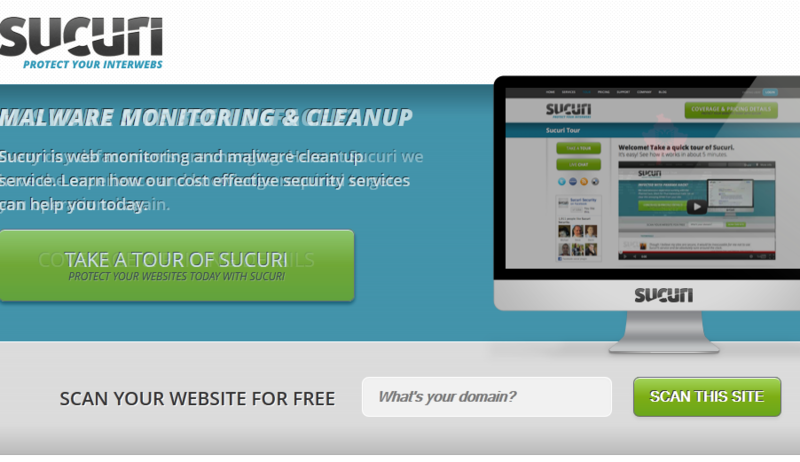 Sucuri: the service we currently use to protect our sites. 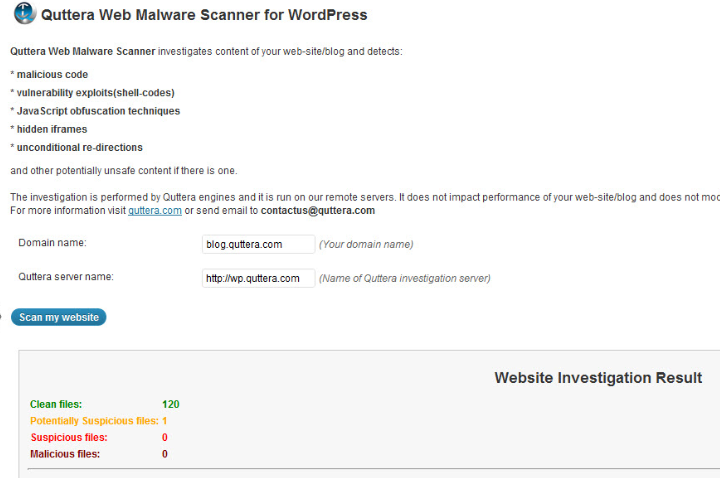 It not only has a site scanner but also a cool WordPress plugin to keep you informed on what’s happening on your site. VIP Scanner: scans your themes and files to find out any potential issues on your server. This is basically a UI for the VIP Scanner library. AntiVirus: it provides you with virus alerts in the admin bar and helps you identify malware and spam injections. You can run daily scans with email notifications using this. Exploit Scanner: this plugin searches the files on your website to see if it can find anything suspicious. It also examines active plugins for unusual names. Code Scanner: scans WordPress core files and identifies issues with the files you have on your website. It shows you which files should not have been modified and the ones that are intact. 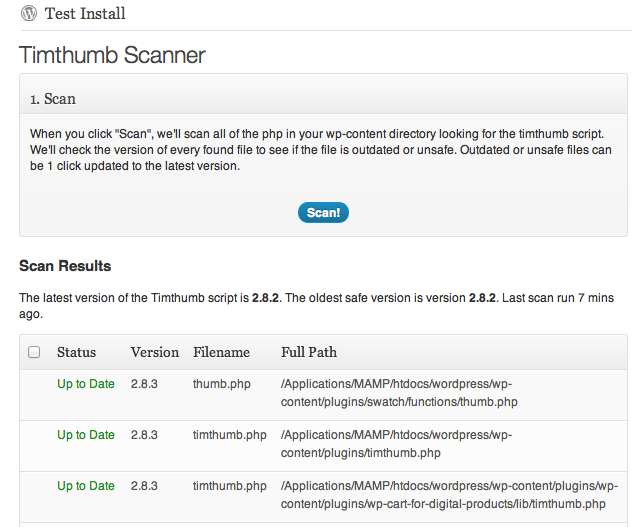 Timthumb Scanner: the nasty security hole in Timthumb led to many sites getting hacked. Unfortunately, some sites are still running outdated versions of Timthumb. This plugin helps you identify issues with your Timthumb script and address them before it is too late. 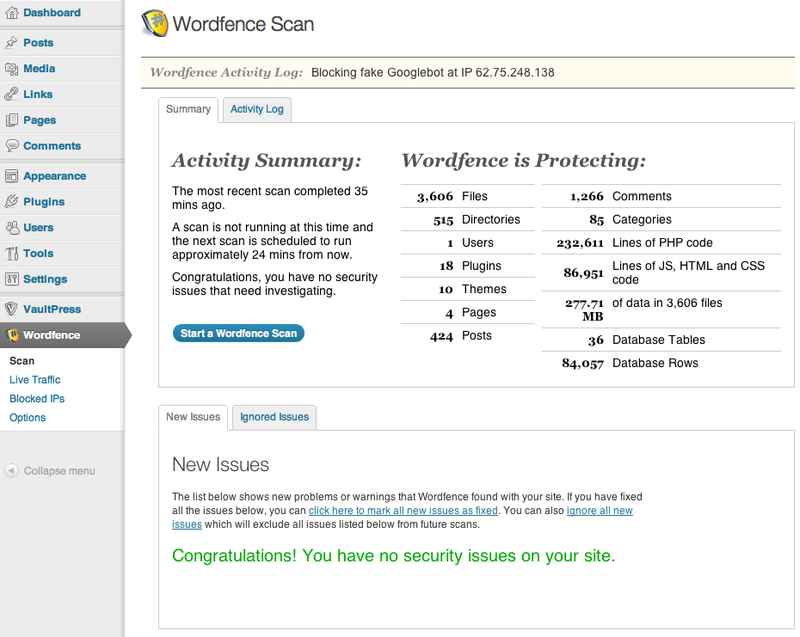 Wordfence Security: a complete security solution with a firewall, anti-virus scanner, malicious URL identifier, and live traffic tracking. 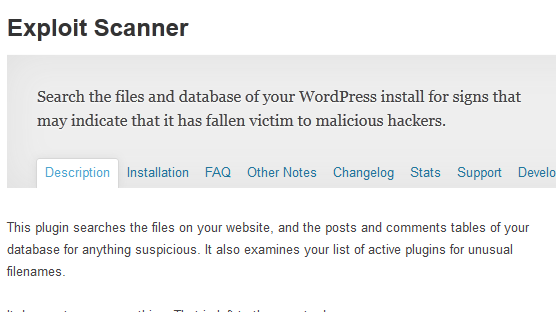 It works on WordPress MU installs as well. Cloudsafe365: another plugin you can take advantage of to back up your site, check for security issues, and protect your content. Which one of these code scanners are you impressed with the most?